A perfectionist eraser is very displeased when a pencil comes along making squiggles, smudges, and drawings on a perfectly clean page. As the pencil draws the eraser tries to erase. The eraser gets more and more frustrated with the drawings of the mischievous pencil until he realizes that his eraser marks can be pretty fun. 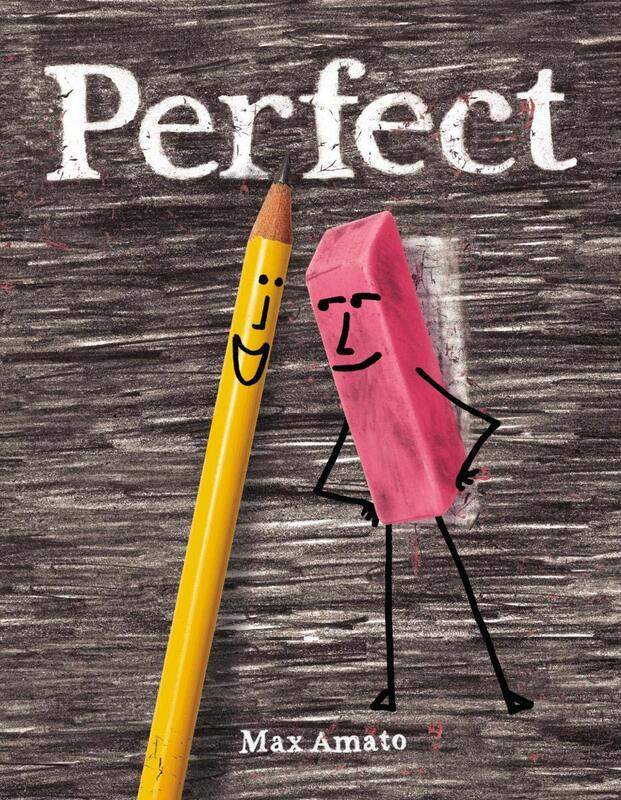 This is a book that shows its possible to get along in spite of differences and one about embracing imperfection. It's both playful and clever. When caterpillar wonders what the others are doing, he learns that he can become a chrysalis and transform into a butterfly. But, for a caterpillar who is extremely impatient two weeks seems like it will take forever. 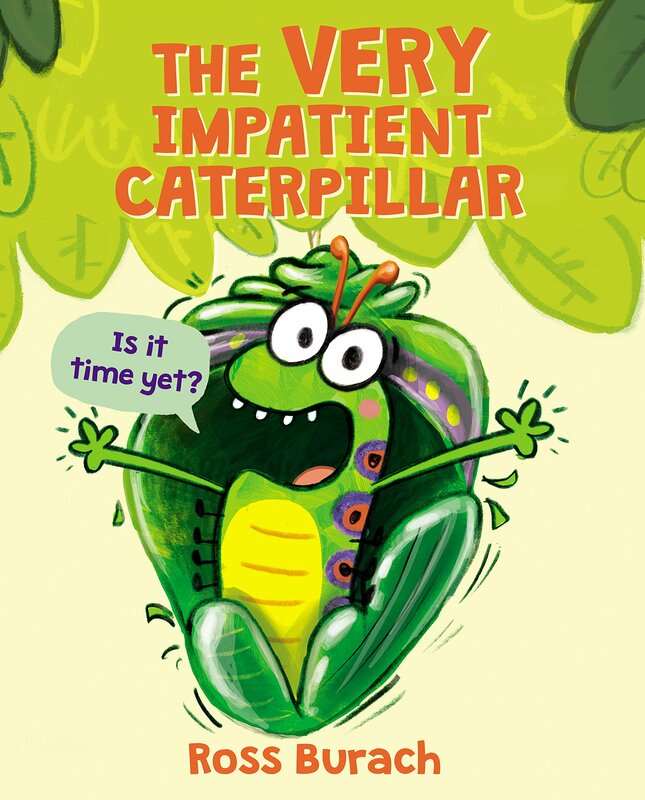 Caterpillar's antics, as he waits to become a butterfly, are amusing. This book not only shows that patience pays off, but gives an introduction to metamorphosis. This book publishes next month, but is currently available through Scholastic Book Clubs. In the last book in the Here's Hank series, an author is visiting Hank's school, but he hasn't read her book. 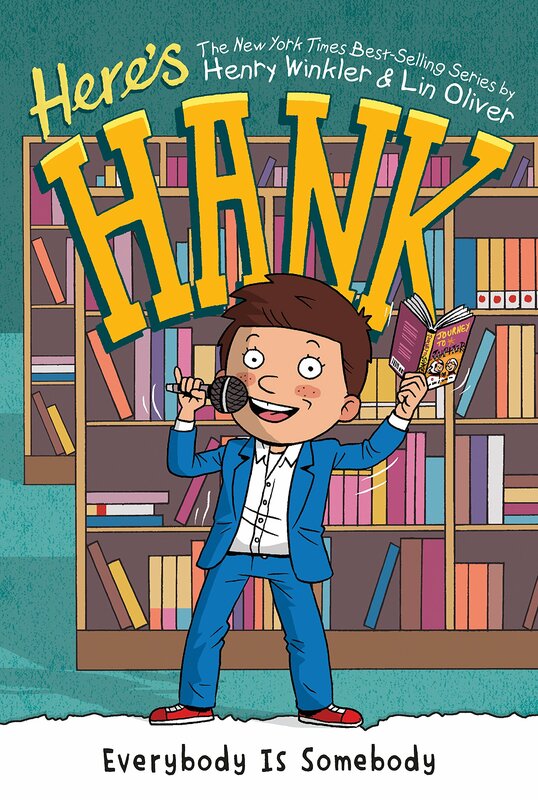 In spite of his difficulties reading, Hank connects with the author who celebrates his imagination. This book has a sweet message about believing in oneself. Thanks to the publisher, Penguin Young Readers, for a review copy of the book. Sal Vidón is adjusting to his new life in Miami where he is attending Culeco Academy of the Arts. During his first few days of school, Sal deals with a bully in a rather unique way. He opens a portal to another universe and a dead chicken appears in the boy's locker. Partly because of student council president and journalist for the school paper, Gabi Real, all of his classmates think he is a brujo, a witch. Sal is struggling at home, as well, because his parents and American stepmom aren't too pleased that he can also bring his deceased mother over from another universe. 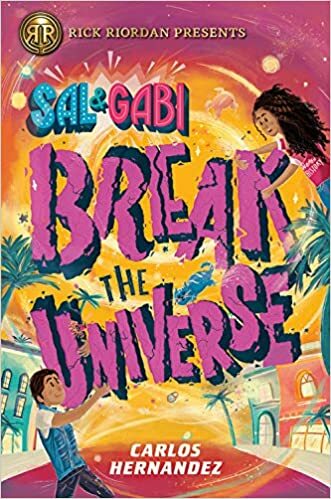 Sal must manage his unexplainable powers before he destroys the universe, but they are much needed when Gabi's brother's life is in danger. The characters in this book are unique and diverse and there is lots of humor. The book is a lot of fun, but it's also one with heart. Fans of science fiction, especially, will enjoy this one. I read an advance reader's copy of the book. It publishes in March. Although Bett lives in California and Avery lives in New York, their dads have met and are in a relationship with one another. They want the girls to attend a summer camp so they can meet and become friends. Neither Bett or Avery have any interest in their families merging together and when they are forced to go to camp they vow not to even talk with one another. The book is written in an epistolary format as Bett and Avery correspond through emails and letters. Bett and Avery are both endearing characters, who in spite of themselves develop a sweet bond and grow as they learn what it means to be family. This is a light-hearted read with humor. Thanks to the publisher, Dial Books for Young Readers, for proving my book review group, #BookExcursion, with a review copy. This middle grade novel is a story of magic and unlikely friendship. 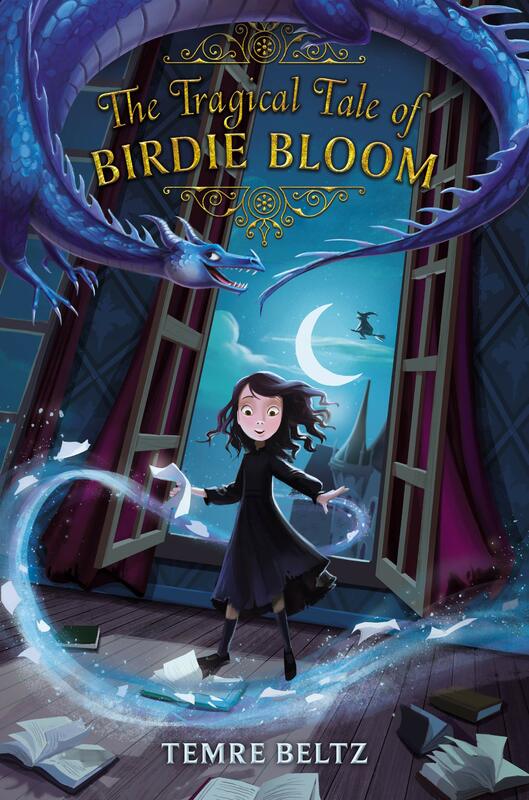 Birdie Bloom, an orphan, is doomed to an unhappy, tragical ending. One day the Winds of Wanderly connect her to a wicked witch, Agnes Prunella Crunch. Birdie is determined to make a friend and in the process she shows that with bravery it's possible to change one's destiny. Thanks to the author and publisher for providing my book review group, #BookExcursion, with an advance reader's copy. The book publishes in March. Perfect sounds, well, Perfect! Fun idea to show a new attitude toward creativity. I have To Nightowl from Dogfish coming from the library, sounds very good. Birdie Bloom is one I'll note, new to me. Thanks, Lisa! I look forward to hearing what you think of To Night Owl From Dogfish. I've been looking forward to Perfect since last summer. It sounds SO cute and clever! I hope to find it locally very soon. 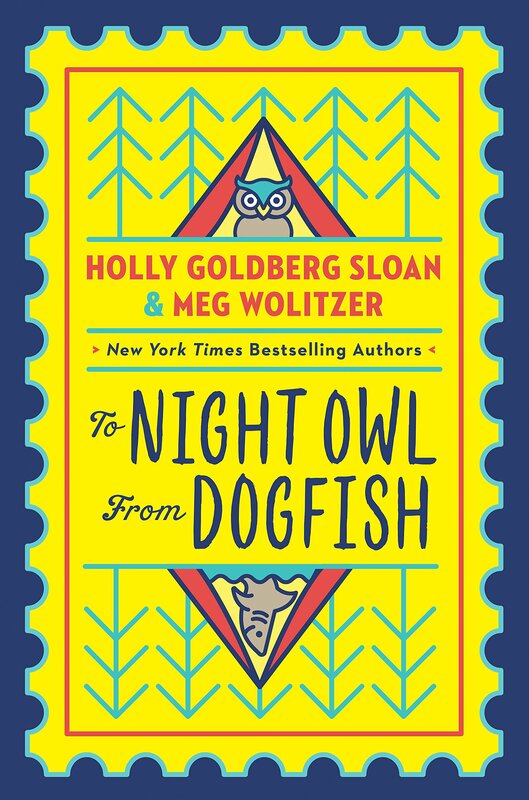 I'm hearing some great things about To Night Owl From Dogfish -- can't wait to check it out for myself! Have a wonderful reading week, Lisa! Two books I think you'll really enjoy. I just requested The Very Impatient Caterpillar and Perfect from the library. Can't wait to get ahold of them. 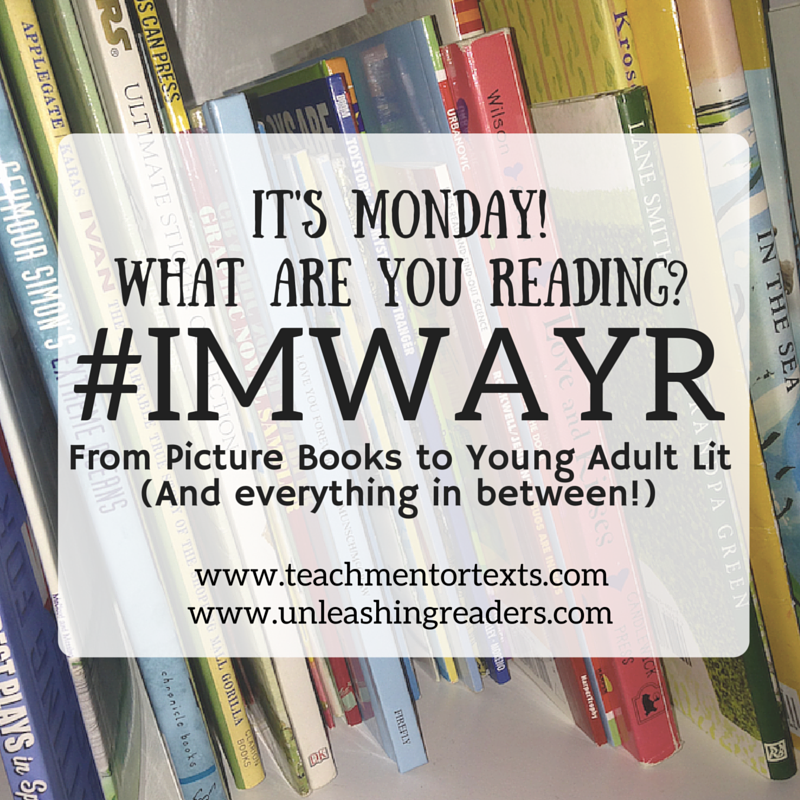 Thanks for sharing these titles and have a terrific week! I look forward to hearing what you think of both. Have a great week, as well! Thanks for the reminder about To Night Owl From Dogfish. I am excited that my library finally has it on order. I look forward to hearing your thoughts about it. Hopefully, you won't have to wait too long for it. You have been a busy reader! Night Owl/Dogfish is coming up very soon in my pile. I really liked the Caterpillar book, it made me laugh! And I can't wait to read Sal and Gabi, I've really been enjoying the new Rick Riordan imprint books! Hi there Lisa, I am so glad I visited your site this week - all these books are not in my radar! 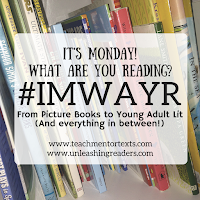 Which just goes to show that I haven't been reading a lot of middle grade novels recently, thank you for bringing these lovelies to our attention. :) Have a great reading week!